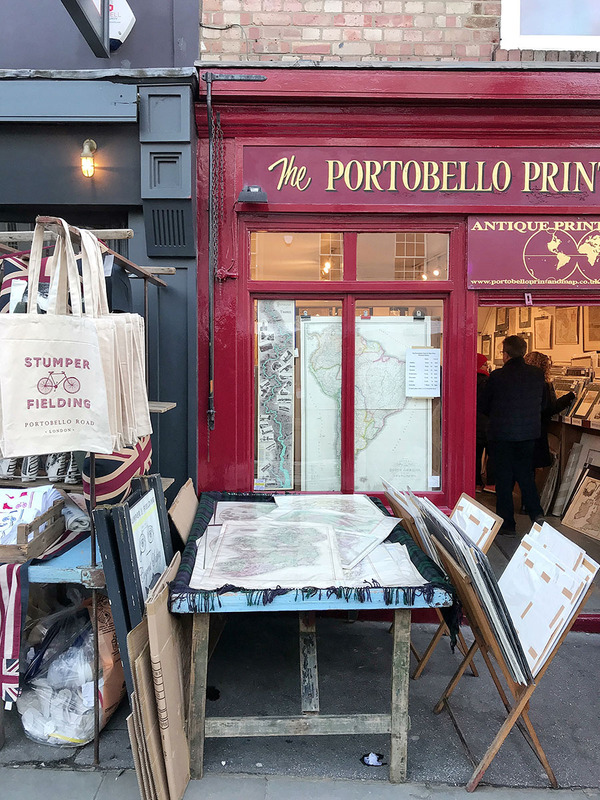 Saturday seems like a great day to visit the Portobello Road at Notting Hill. 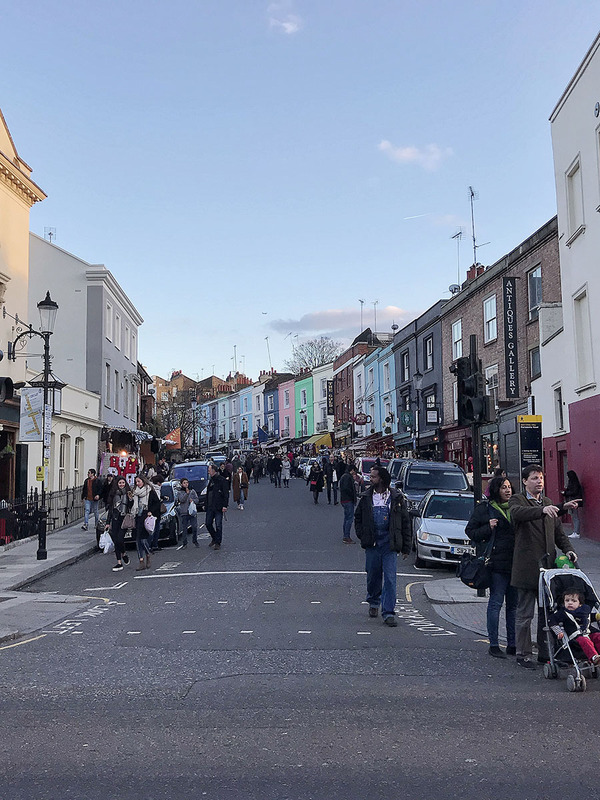 The Portobello Road is magnificent on its own, but during the Saturday there is also the Portobello Road Market which provides one of the top market experiences amongst London markets. It was a beautiful weekend, and I was thrilled that I got a chance to introduce some delicious desserts to my friend Ivan who was just visiting London. 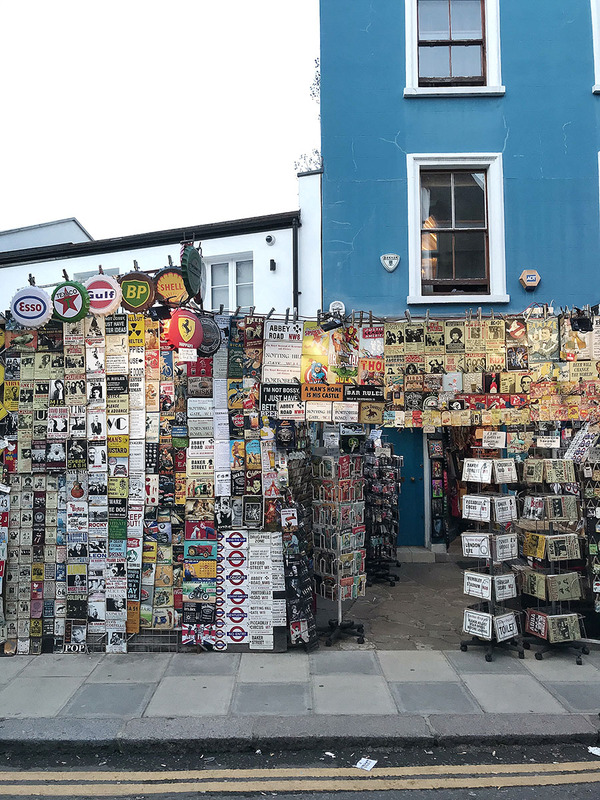 The Portobello Road market is famous for its vast amounts of antique shops and stalls. That combined with the great variety of food options, makes it almost impossible to experience everything in just one day. 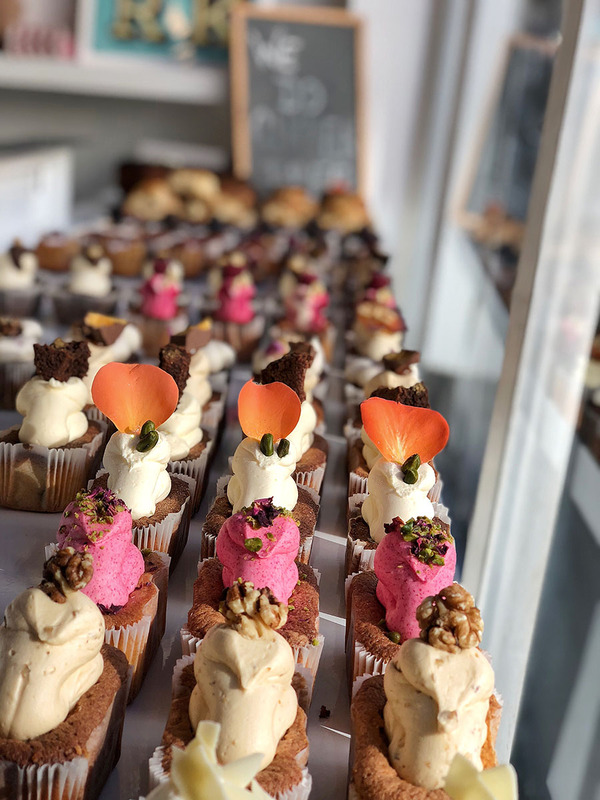 As usual, I did massive research on the internet, to find out what are the most popular cafés and bakeries in the area and I’ve chosen the ones which have the best ratings from locals and tourists. 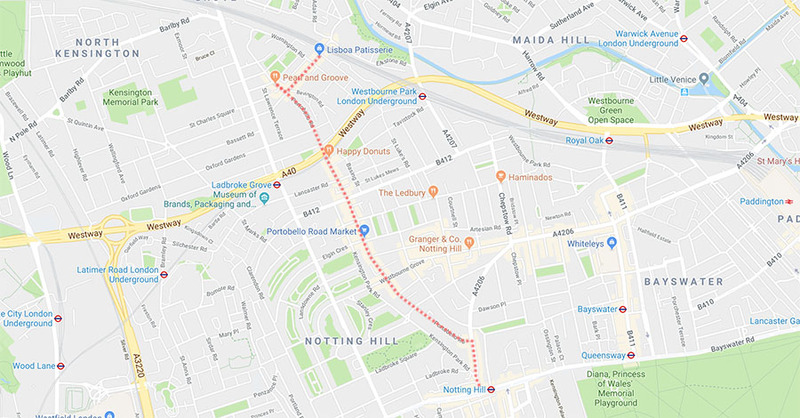 The most common and also the busiest way to Portobello Road Market is from the Notting Hill tube station. I decided to go from the other side. 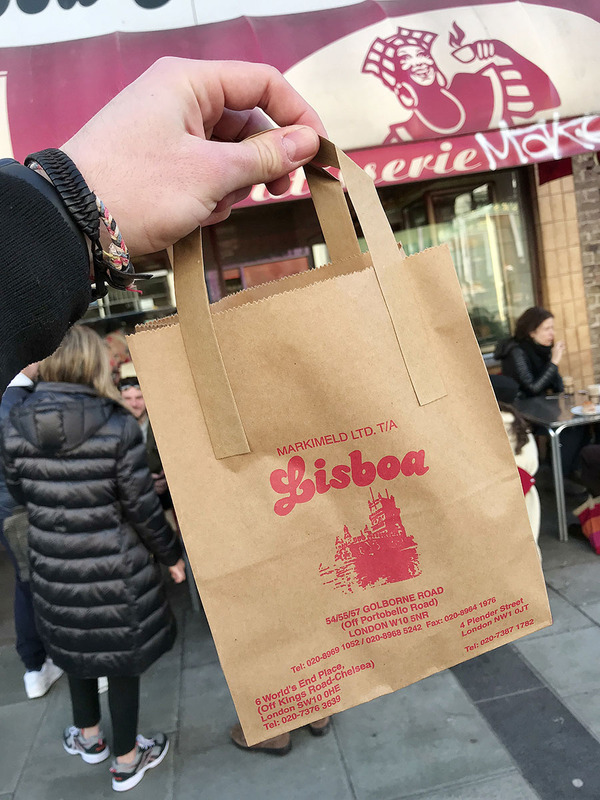 The reason was the enormous popularity of the local Portuguese patisserie, the Lisboa Patisserie. I read on the internet that after 2 pm they might run out of their glorious Pastel de nata and I didn’t want to risk it. Watch the video first if you want and get some more information below later. 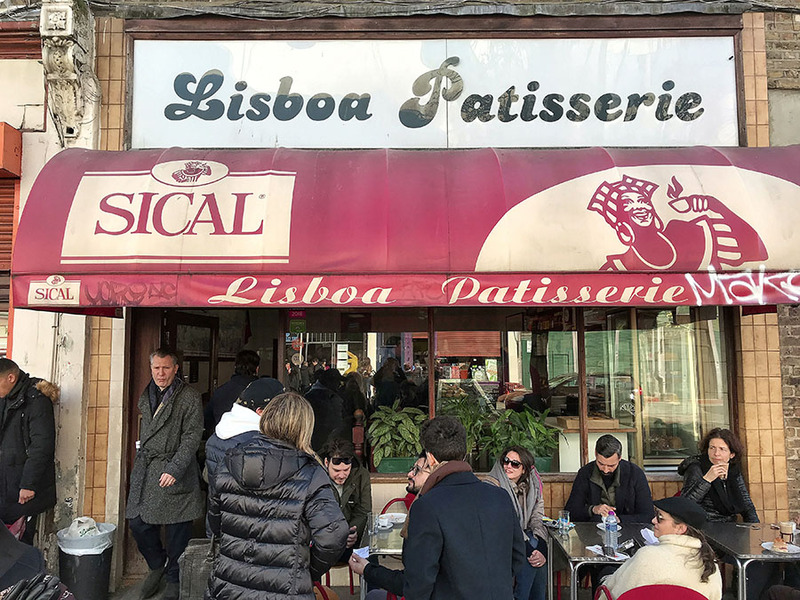 The first place on my list was the Portuguese café and bakery, the Lisboa patisserie. This bakery is not exactly on the Portobello Road but very close and I read some great reviews about them. 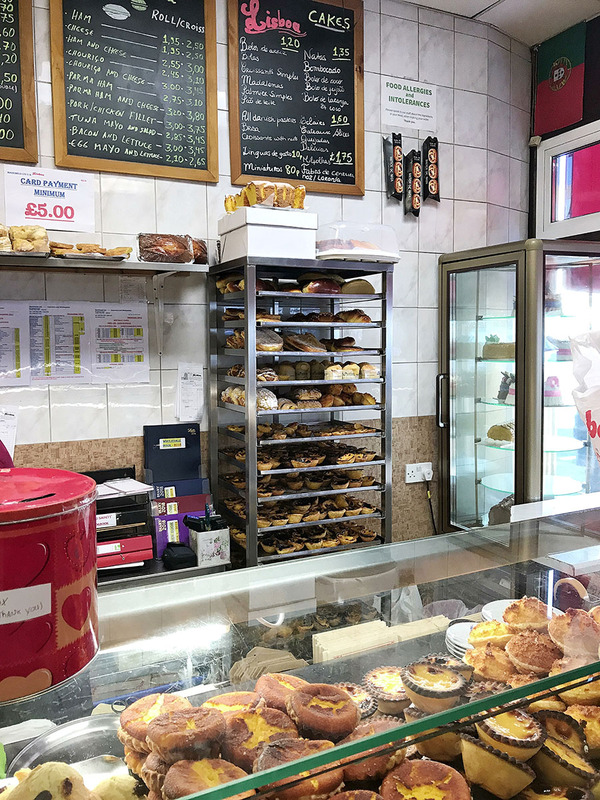 Their biggest seller is the traditional Portuguese Pastel de nata, the egg tart pastry. As I mentioned above, I’ve decided to come here the first as there might be no Pastel de nata in the afternoon. When we came here at 11:30 am the place was already insanely busy but, luckily, they still had some. I liked the local feel to the bakery as there have been mostly local people here and not only tourists. I really enjoy visiting places which are this popular amongst residents. Also, the busyness of the place gave it an excellent local market feel to it. Pastel de nata is the egg tart pastry. Don’t expect any sophisticated taste. It is a very simple pastry with a fascinating history. Around the 18th century, the monks were using egg-whites for starching clothes, and it was quite common to use the leftover egg yolks for cakes and pastries. One of the pastries they used to bake was Pastel de nata. 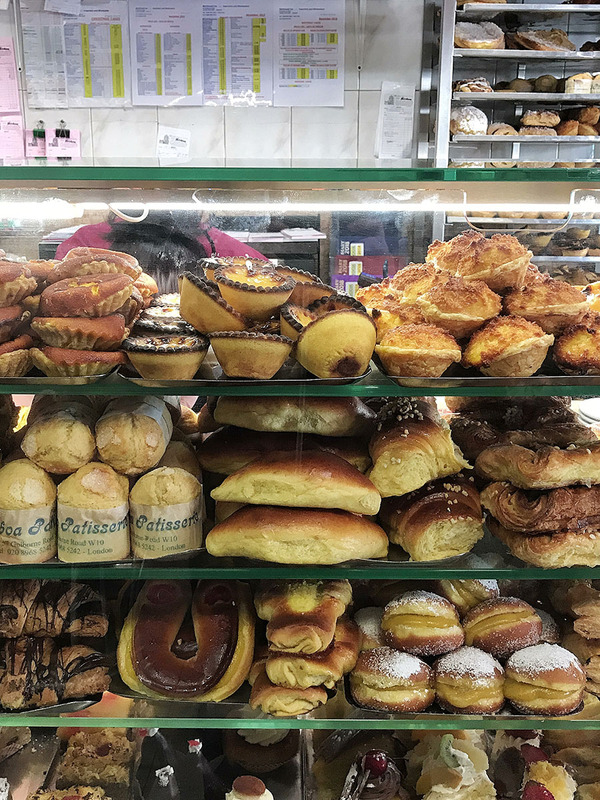 In 1837 the monks sold the recipe to the café in the Belém district of Lisbon called Pastéis de Belém (pasteisdebelem.pt/) where they still bake it today. 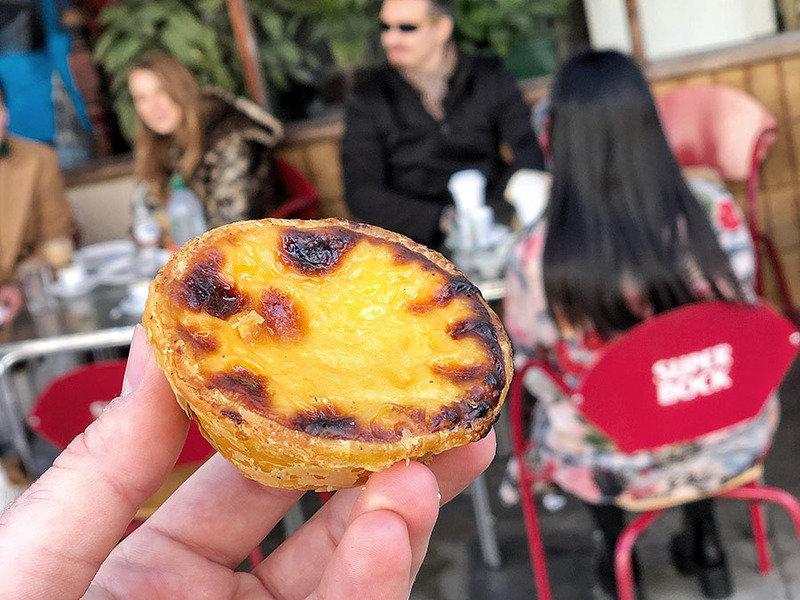 Pastel de nata is not super instagramable, its taste and ingredients are simple, but it goes great with your morning coffee. 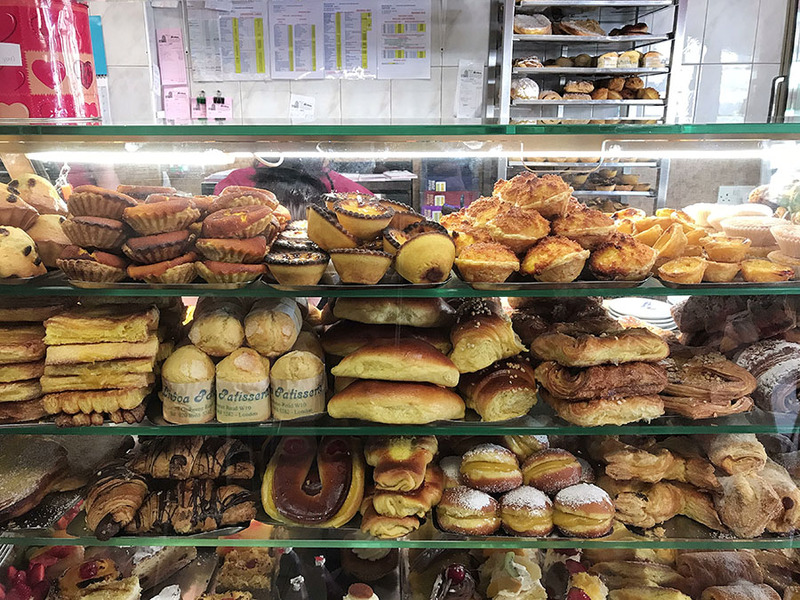 The Lisboa patisserie is doing an excellent job baking it. It made me appreciate the history of this simple dessert, and I can’t wait to go to Lisbon and visit Pastéis de Belém. What a great find. In general, I am not a big fan of cupcakes, because usually, the topping has just too much sugar for my liking. 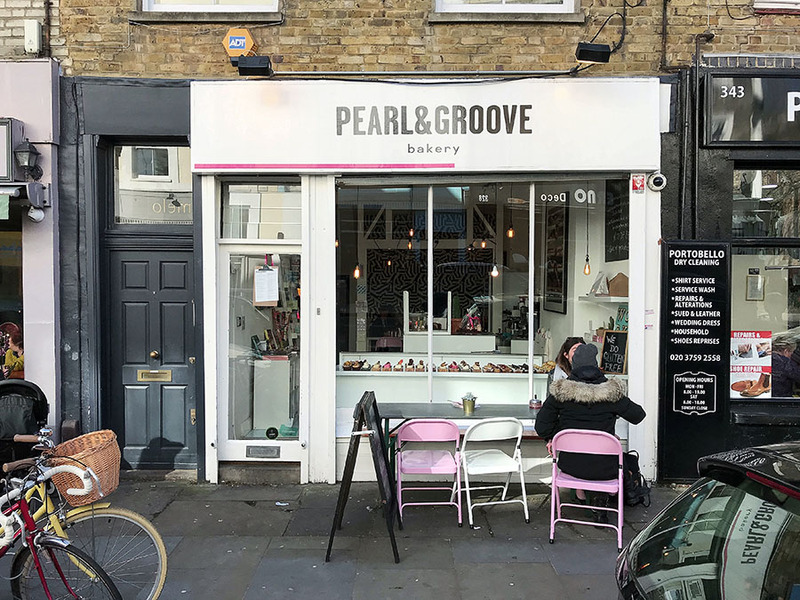 But the Pearl and Groove bakery made it somehow work. 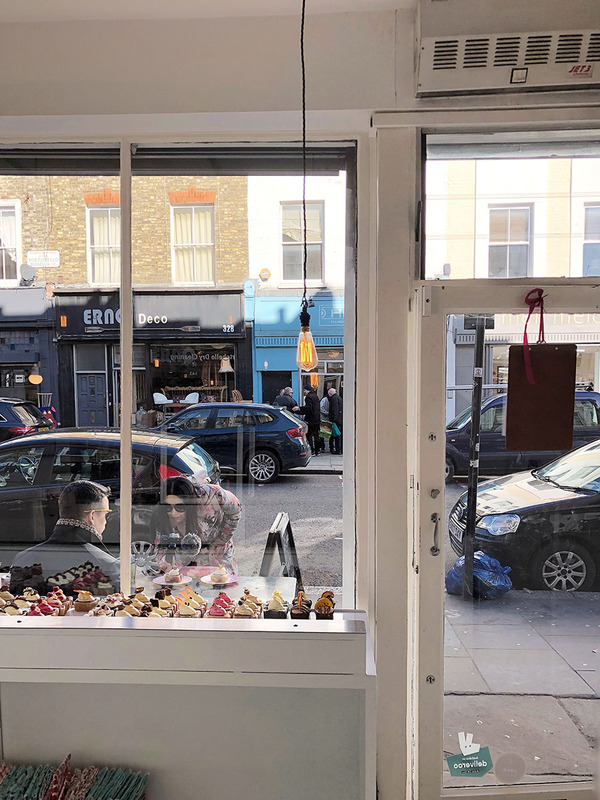 The bakery is almost at the end of the Portobello Road, so it’s not as full of tourists as other places closer to the Portobello Road market. 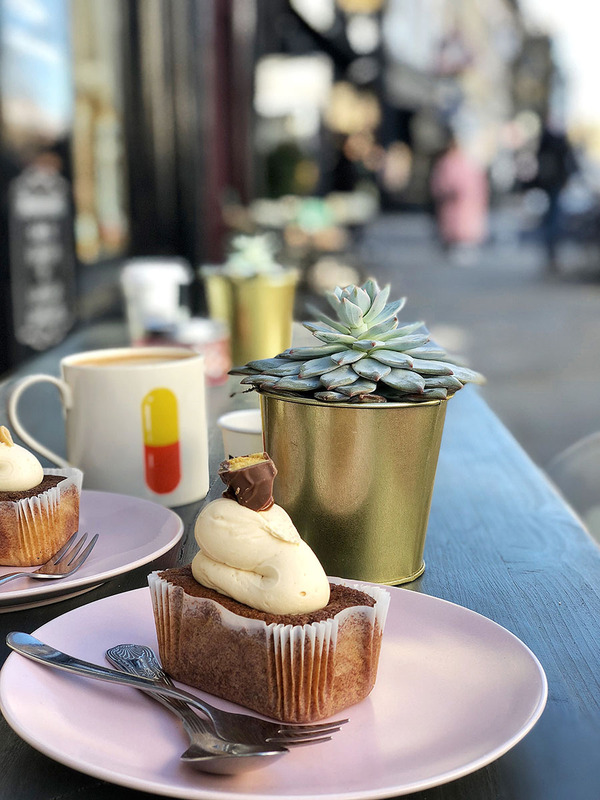 If you are looking for a more relaxed environment, where you can sit down and talk while enjoying your coffee and cupcake, this is a great place for you. Cupcakes in here are quite expensive, but their rectangular shape makes them twice the size of the regular cupcake. Plus, the combination of gluten-free dough and the fantastic selection of flavors is just excellent. Both, the dough and the topping have its own flavor, so you can combine them into your preferred taste. 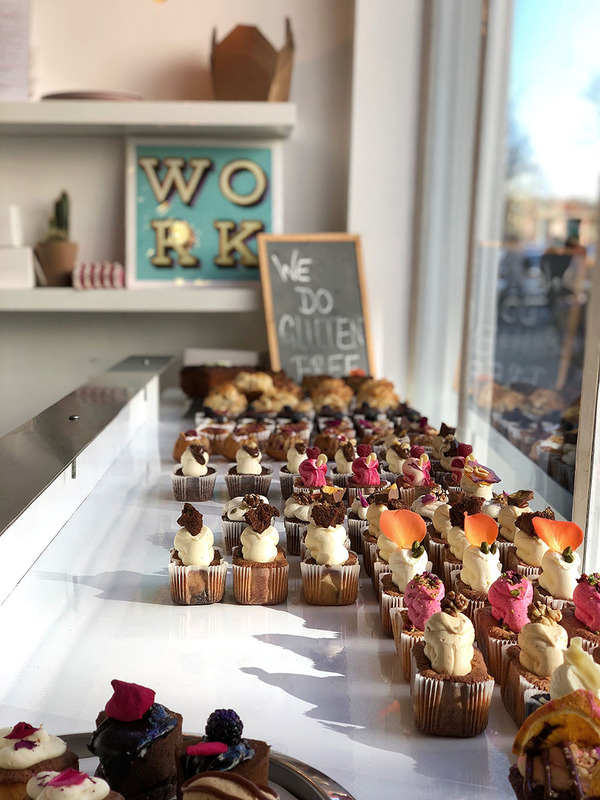 We had a great time here, and the cupcakes were delicious. The staff recommended the salted caramel cupcake, and we also tried the banana peanut butter one. Both tasted excellent. Not too sweet and with rich flavors. I believe all cakes in this bakery are of high quality. I would probably enjoy gelato more during the summer. However, the ratings for this place are outstanding and I just had to give it a try. Gelateria 3Bis does an excellent gelato. 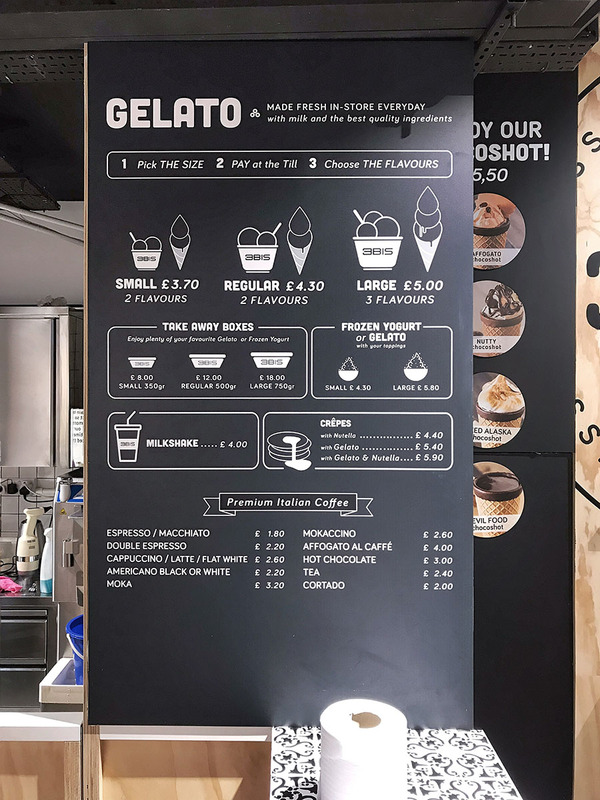 They pride themselves on using organic milk, high-quality ingredients from Italy like pistachios, hazelnuts, liquorice and with 15 years of gelato experience. 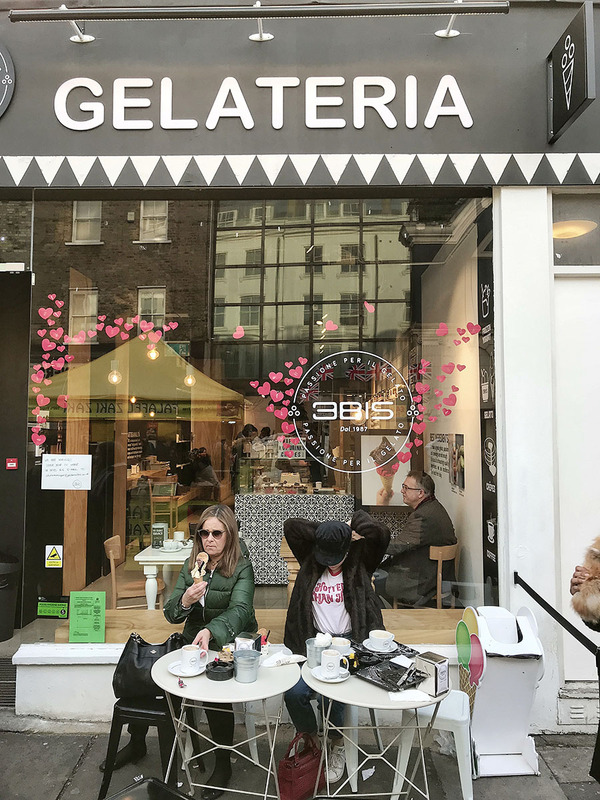 Gelateria 3Bis, for sure, became my go-to place for gelato during the summer. I went for recommended pistachio and salted caramel flavors and what a treat it was! 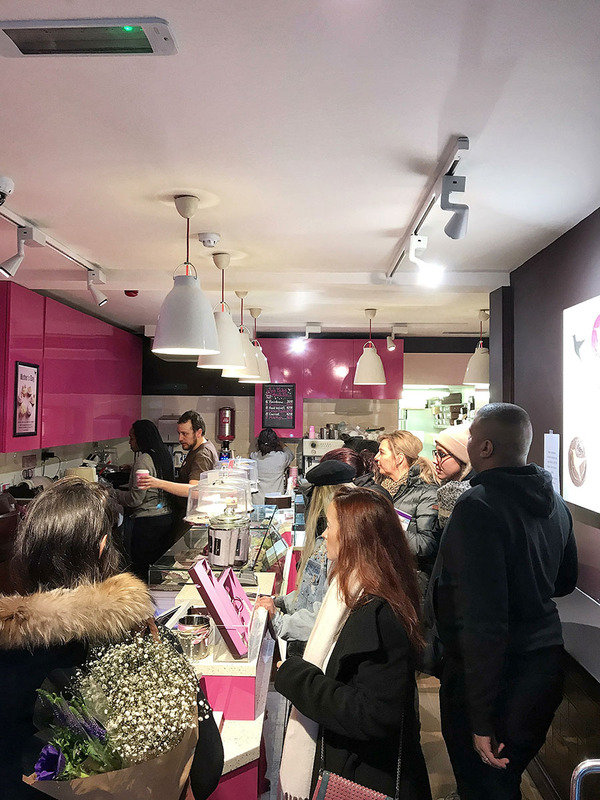 I have a mixed feeling about the Hummingbird Bakery. It has such fame around the internet that I had to stop there for the last cupcake of the day. 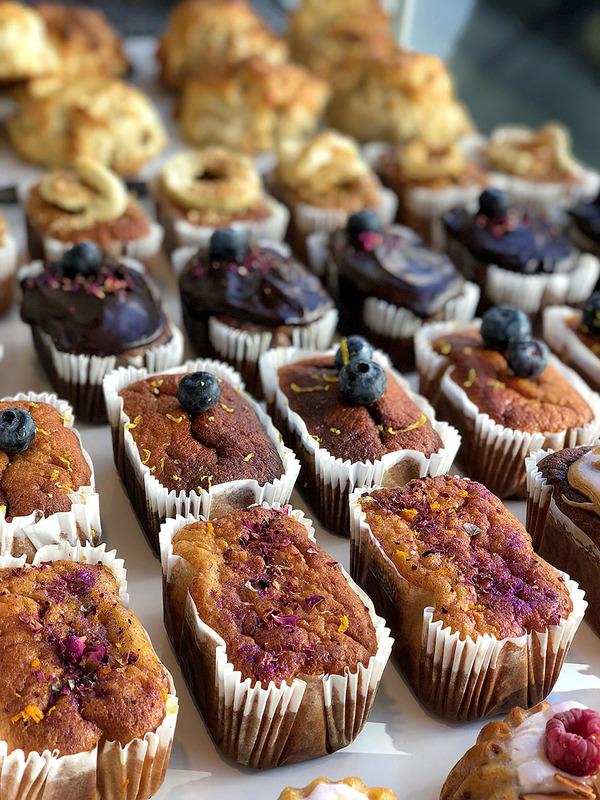 They opened their first bakery here at Portobello Road in 2004, bringing the American style baking to London, so they are a well-established brand in London already. 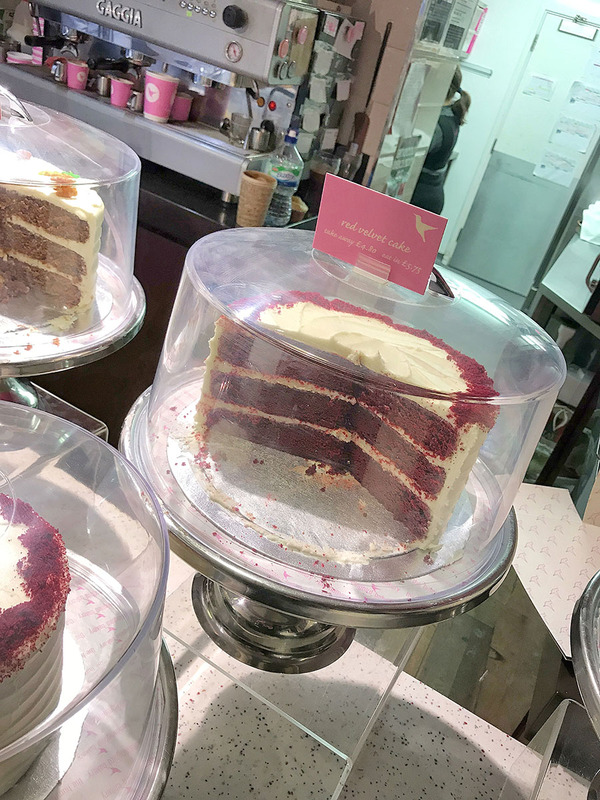 The signature cake is the Red Velvet cake, and that’s what I went for. As I mentioned above, I am not the biggest fan of cupcakes because the topping is just too sweet for me. I mean seriously sweet! It’s basically dough with half a kilo of sugar in cream on top of it. The dough was moist and spongy, and even when the place was super busy the people in the bakery were accommodating and patient. 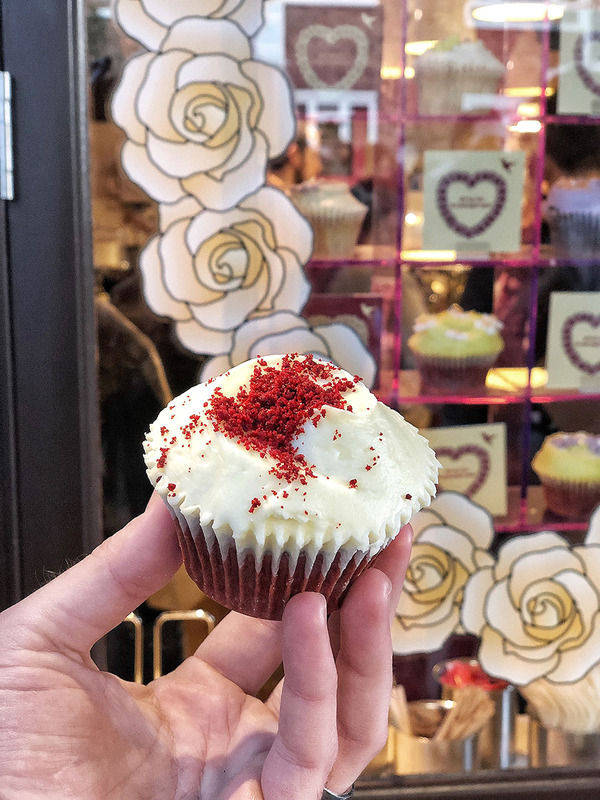 So, if you love sugar galore, cupcakes and you want cupcake Instagram post from London you will probably like the Hummingbird bakery. However, it just doesn’t work for me. Too crowded, too sweet and with no place to sit. I enjoyed the experience and flavors of the desserts in other places during the day much more. But! I keep my mind open, and I will try more cupcakes in London in the future to make the fairer comparison. The whole Portobello Road is super crowded which gives it a very authentic London market experience. There is a lot to see, a lot to eat and as you can see, there are some great desserts to try as well. It’s very easy to spend half a day at Portobello Road market, just browsing around. 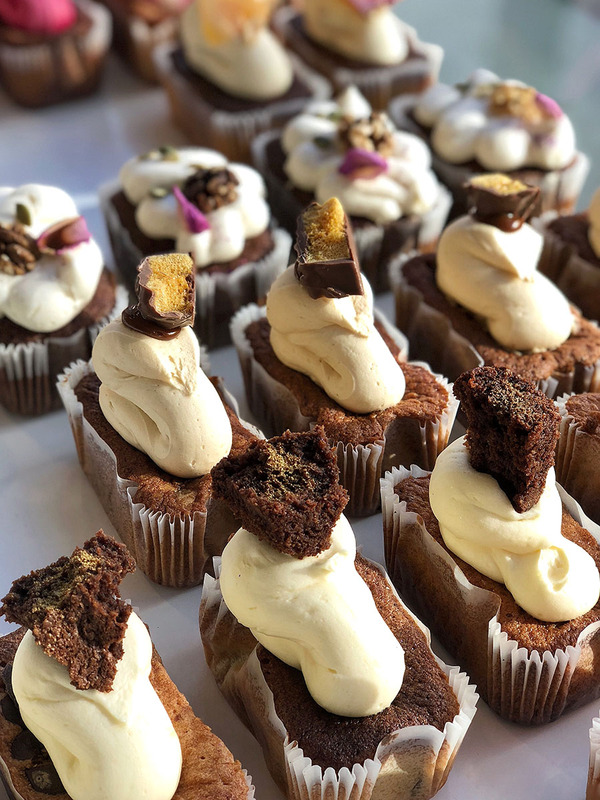 There are more places to get some good desserts in the area, but I’ve chosen the most recommended and ones I believed are serving something I would like. And it ended up pretty well. 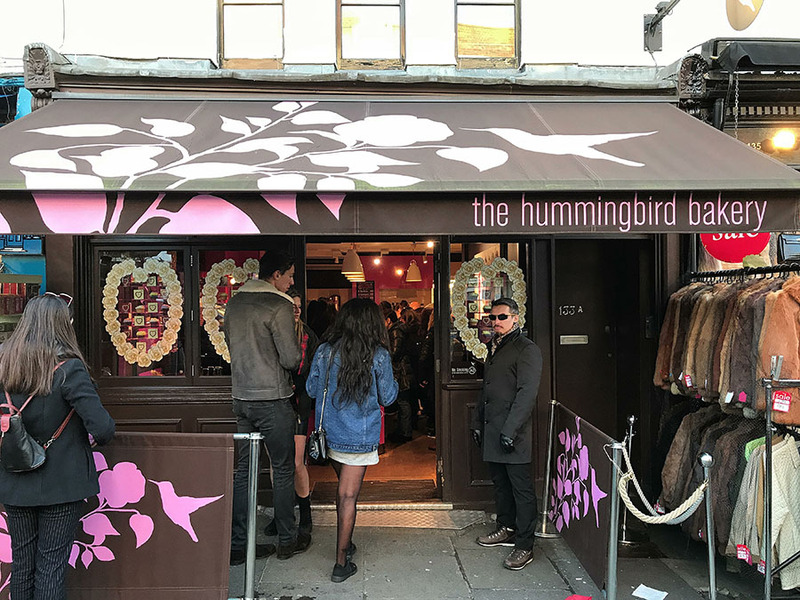 Again, the only place I couldn’t really enjoy that much was the Hummingbird Bakery. These super sugary desserts are just not my thing. They must be doing something right, or they wouldn't have such popularity, but I just couldn’t see it. 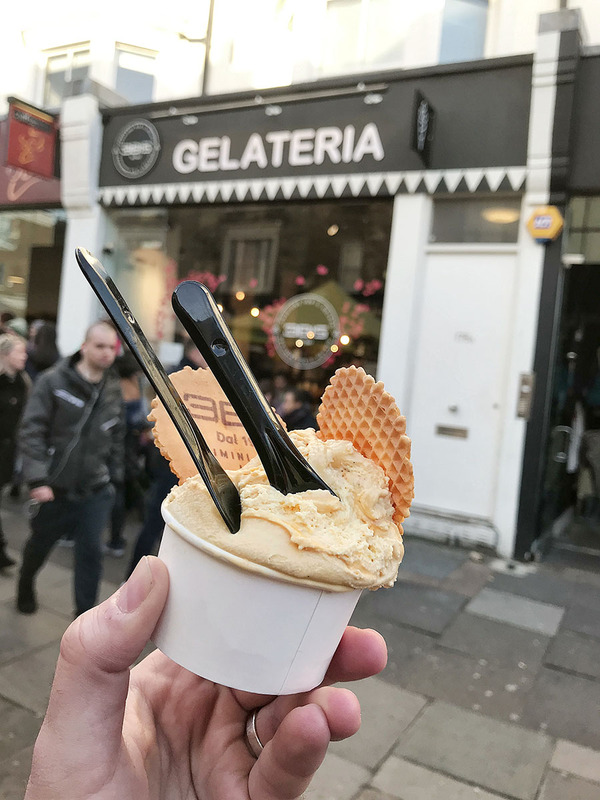 I had a fantastic time on this Portobello Road desserts tour, and I hope that this post will give you inspiration for your visit to Portobello Road.